Runs at main power net (three phase,380v,50HZ) Without inverter. High efficient and high power factor, effective in saving energy : it is 5% to 12% more efficient than asynchronous motor of same HP. 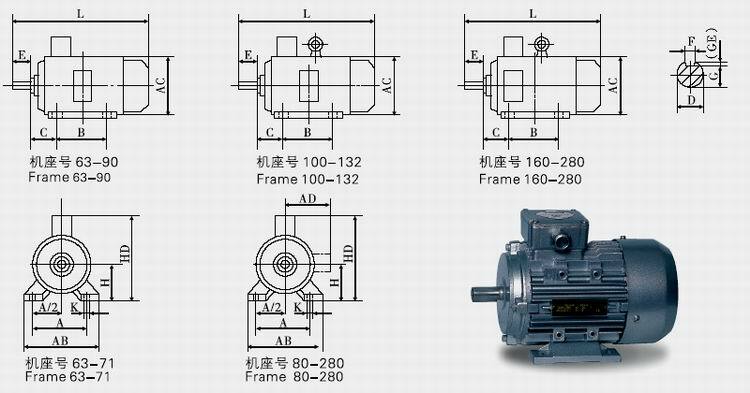 As the motor does not need the exciting current, the power factor is close to1;Save about 10% Energy than asynchronous motor. Wide applicability : It can be used in various tough conditions. Hz SPEED rpm CURR. A TORQ.